Now in the middle of winter it's a good time to go back to the hot summer 2018. I needed to use Finnair upgrade vouchers before the autumn, the solution was a quick day trip to London. 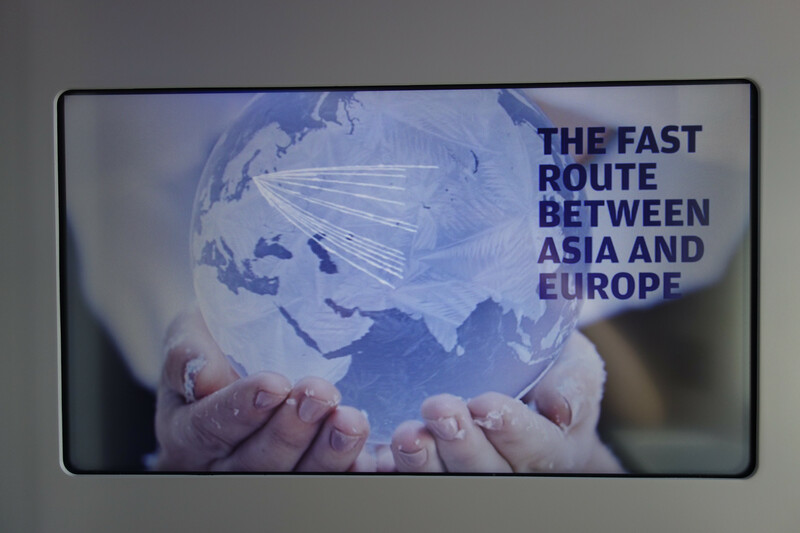 There were inexpensive flights available on Saturdays and free J seats on the A350, the best short haul product Finnair can offer. Now in the winter the daily A350 to LHR (AY1331/1332) is still there and in addition A333 starts daily flights to LHR this spring (AY1337/1338). Also BRU has got the AY widebody service back, A333/A359 twice a week on Wed and Sat (AY1541/1542). 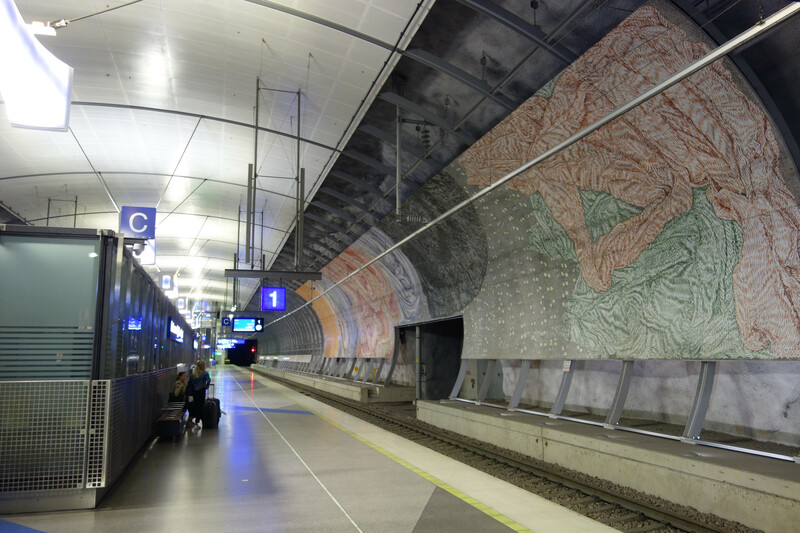 Arriving at HEL, the underground train station. I checked the AY non-Schengen lounge quickly, just got a coffee. OH-LWK had arrived from SIN that morning, the boarding had started when I reached the gate. The J cabin was perhaps half full. 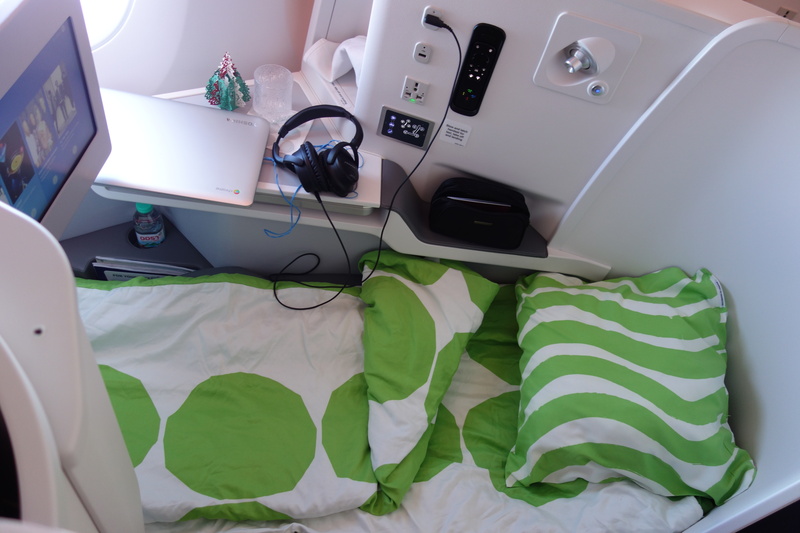 I find their A350 J-seat nice for daytime flights but a bit cramped for sleeping, at least for a taller person. The actual flight time was something like 2h 40 min, far too short I thought. Didn't check the IFE further this time but I quite like it on their A359, the touch screen is very responsive and the content is reasonable. But no noise cancelling headphones on this route. WiFi was available. Approaching London and LHR, T3 there. I had around five hours to kill now, I took Heathrow Express to Liverpool street to meet a friend. It was a busy Saturday, London is a great city but this time I felt the heat and the crowds were a bit too much for a country boy from north. 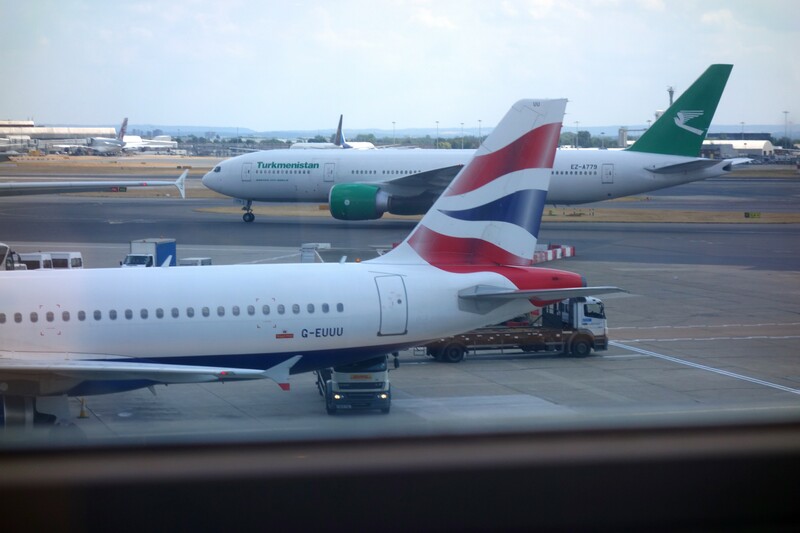 Back in LHR 3 I had an invitation to No1 Lounge which was rather basic, busy but better than the zoo outside, so packed in the terminal. 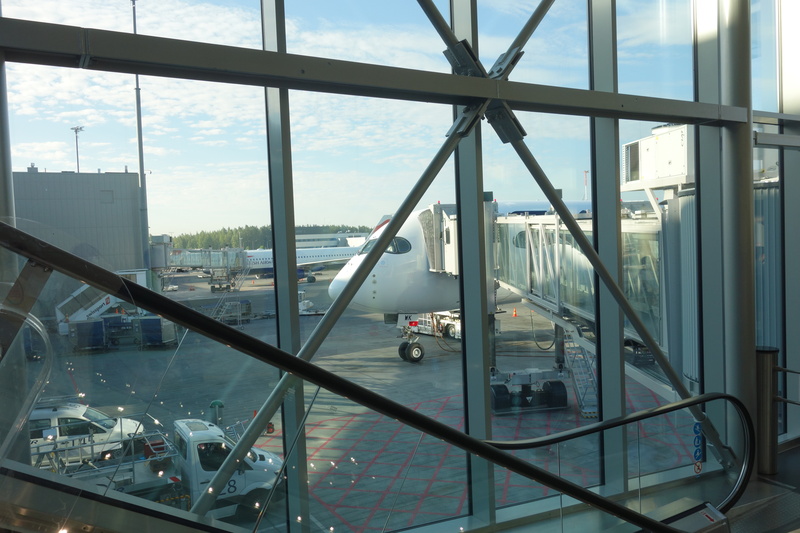 Back to Helsinki, on A320 this time, the flight was close to 100% full. 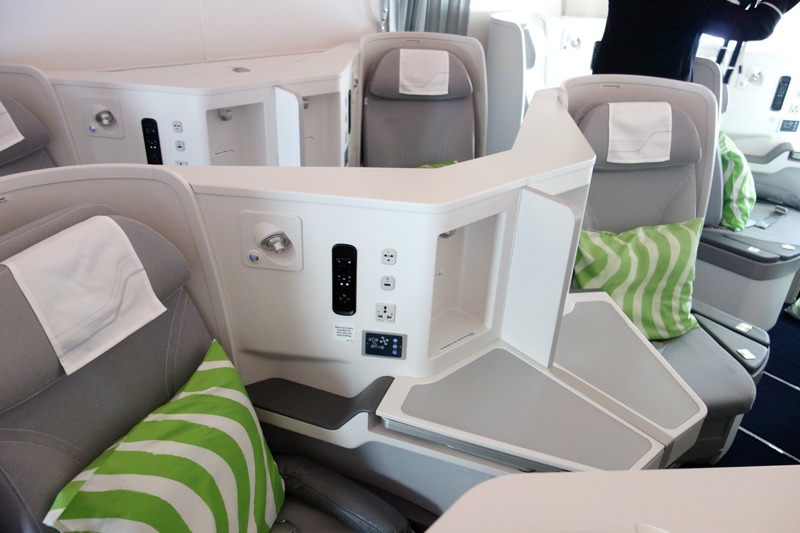 Finnair's A320 has a typical "Euro J", an Economy class seating with the middle seat blocked. I missed back to A359 right away. But the dinner served was very tasty, fish mousse & cannelloni with ricotta filling. Plus a blueberry pastry for a desert, that was rather industrial though. Indeed, Finnair's meal service has improved. The flight felt longer this time, no WiFi (their narrow body WiFi was just being installed), no IFE except the regular overhead screens. At least the Blue Wings magazine was still there. The guy next to me sounded really grumpy at first, he didn't want to eat anything but the purser managed to cheer him up and soon they were joking and the guy took "little something" the purser suggested. Probably his gin tonic helped too. Soon we were crossing the Baltic Sea and approaching Finland, in a great weather. Thank Marko. Glad you enjoyed your time in London. It is unfortunate you did not score the long haul product on the return leg though. Nice Pics from the air, awesome the London eye! !